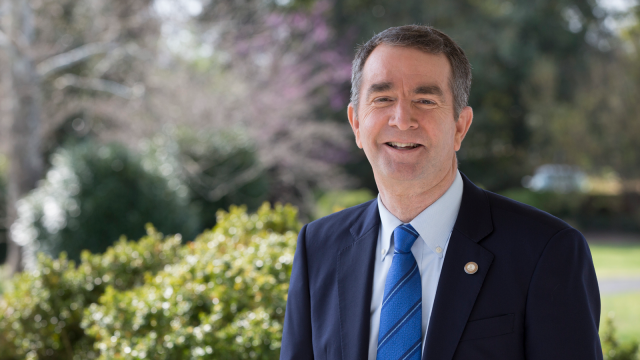 Today, HRC celebrated Ralph Northam’s swearing-in as governor of Virginia. HRC worked aggressively to ensure Northam and other pro-equality candidates claimed victory on Election Day. HRC also worked to turn out the vote for Justin Fairfax for lieutenant governor, Mark Herring for attorney general, and Danica Roem to represent District 13 — all of whom claimed victory in their respective races. 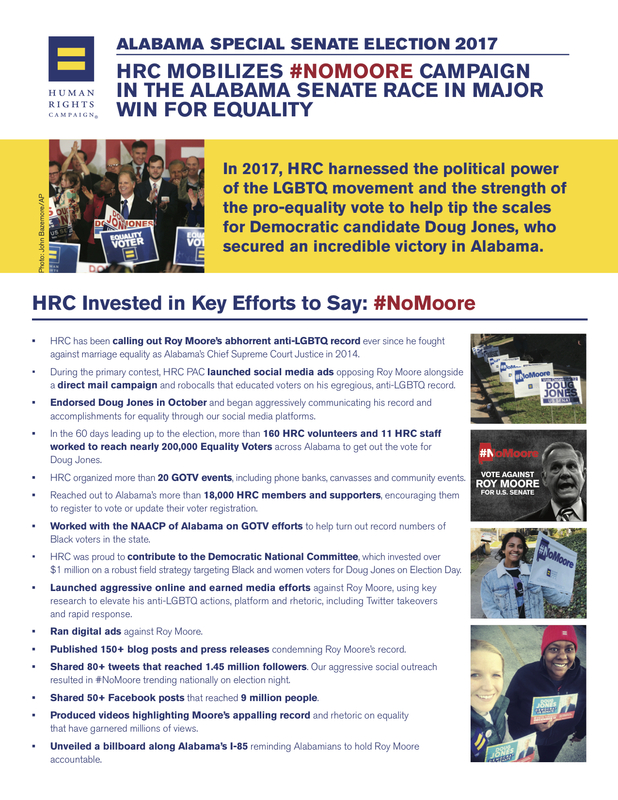 HRC’s get-out-the-vote (GOTV) efforts were strategically targeted and included voters in all of the 15 legislative districts that elected new pro-equality candidates. HRC’s efforts more broadly targeted an estimated 185,366 LGBTQ voters and hundreds of thousands more allied voters in the commonwealth. The organization engaged fair-minded Virginia voters through targeted social media, emails, text alerts, direct mail, phone calls, door-to-door canvassing, and other crucial efforts. 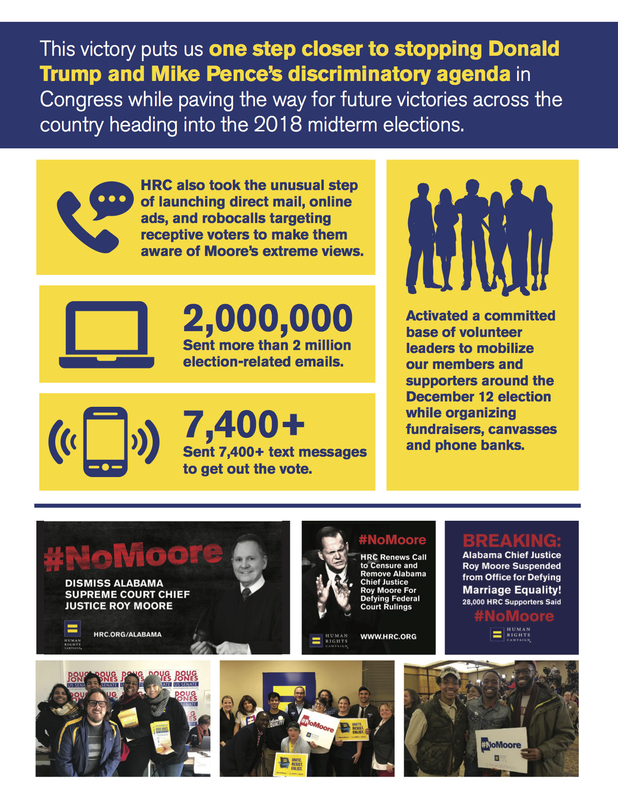 HRC’s work in Virginia is part of a bold, proactive grassroots expansion called HRC Rising — the largest grassroots expansion and earliest deployment of resources in its 37-year history. 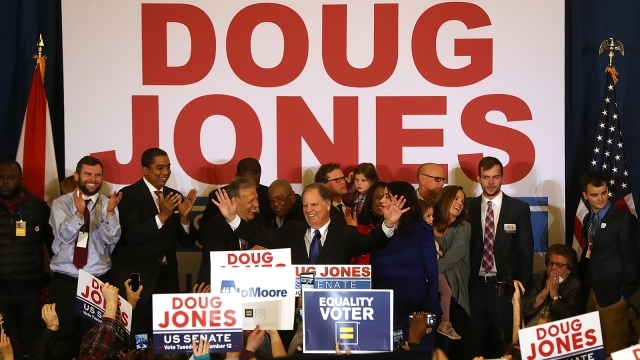 The campaign has already hired a dozen new staff to lead the effort, aimed at expanding and mobilizing its grassroots army of 3 million members to bolster pro-equality candidates and initiatives in key states across 2018. To get involved or learn more about HRC Rising, visit hrc.im/rising. The HRC Foundation and the Equality Federation Institute designated Virginia as a “High Priority to Achieve Basic Equality” in the 2017 State Equality Index, meaning it is a state where advocates must focus on raising support for basic equality for LGBTQ people, such as non-discrimination laws. The commonwealth is one of thirty-one states that still lacks explicit statewide non-discrimination protections for LGBTQ people in employment, housing, and public accommodations. 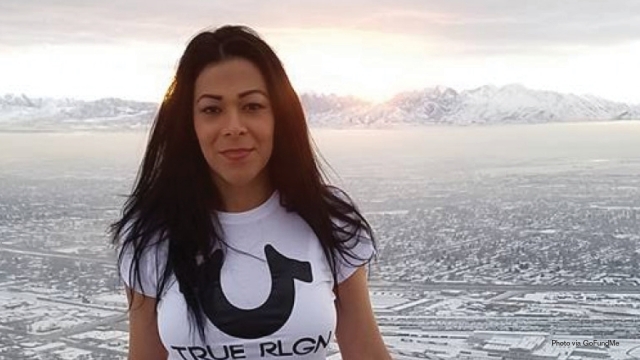 HRC was shocked and saddened to learn of the death of Viccky Gutierrez, a transgender woman from Honduras killed in what officials are calling a “suspicious” fire in her Los Angeles home early Wednesday. The Los Angeles Fire Department is investigating the incident, which occurred in the Pico-Union neighborhood, according to reports. While the victim’s remains have not officially been identified by the Los Angeles Police Department, TransLatin@ Coalition founder Bamby Salcedo in an emotional Facebook post Wednesday night confirmed that Gutierrez died in the fire. Friends took to social media to mourn Gutierrez’s death, describing her as “a young trans Latina immigrant woman whose warm smile would give anyone comfort.” Tonight, the Los Angeles transgender community and allies will gather to honor Gutierrez and demand an end to the epidemic of violence targeting transgender people. Gutierrez’s is the first transgender woman of color and the second transgender person known to have died this year as a result of violence. Transgender women of color make up a horrific percentage of reported transgender murder victims. Last year, the HRC Foundation and the Trans People of Color Coalition released a report documenting the senseless acts of violence that made 2017 the deadliest year on record for transgender people, particularly for trans women of color. To learn more about HRC’s transgender justice work, and the epidemic of violence against transgender people, visit hrc.org/Transgender. Today, HRC called on Puerto Rico Governor Ricardo Rosselló to veto a bill passed by the Senate on Sunday that could allow anyone who claims a religious exemption the right to discriminate against the Commonwealth’s LGBTQ community and visitors. 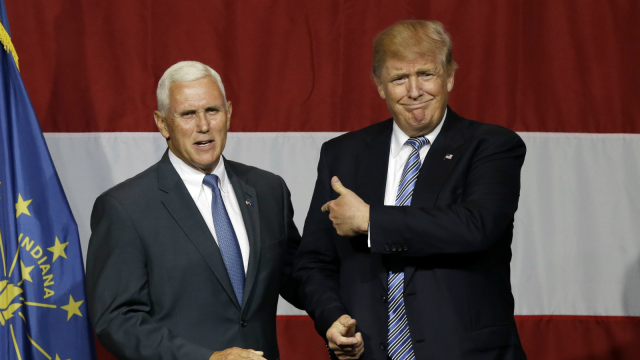 The bill, a Religious Freedom Restoration Act (RFRA) similar to the bill Vice President Pence disastrously signed into law as governor of Indiana, would empower individuals to pick and choose which laws they want to follow and allow an individual to sue government actors, including teachers, firefighters and police officers, if that individual believes their religious rights were being violated by a government action. Recently, a for profit business owner in Michigan used a RFRA to justify firing a transgender woman when she informed her boss about her plans to transition. 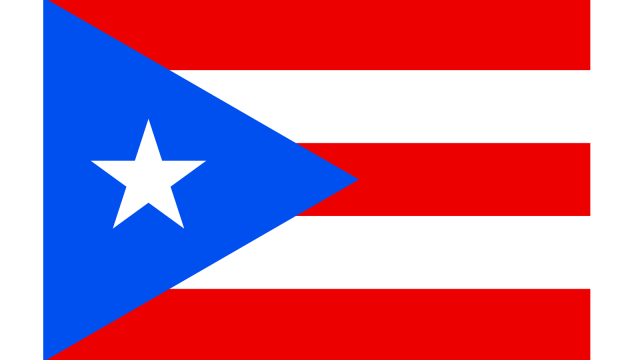 This stands in stark contrast to Puerto Rico’s progress on LGBTQ equality in recent years, including laws banning anti-LGBTQ discrimination and adding gender identity and sexual orientation to statutes addressing domestic violence, as well as executive orders prohibiting discrimination based on gender identity in hospitals and allowing transgender persons to change their gender marker on driver’s licenses. HRC notes that nearly half the 49 victims of the deadly Pulse nightclub shooting in 2016 were LGBTQ Puerto Ricans, and calls on all Americans to come together and help their fellow citizens in Puerto Rico.